Good quality, but the length tends to run longer than expected. The pants fit great, unfortunately, there’s only one back pocket. That is a problem for me. Because I carry a gun in my front right pocket; my keys, knife and cash in my front left pocket, my wallet in my right rear, and my mobile phone in my rear left. You don’t have a rear left pocket on your trousers. You need to. Response from Charles Tyrwhitt: Many thanks for your comments here and it's great to see the trousers fit you so well! 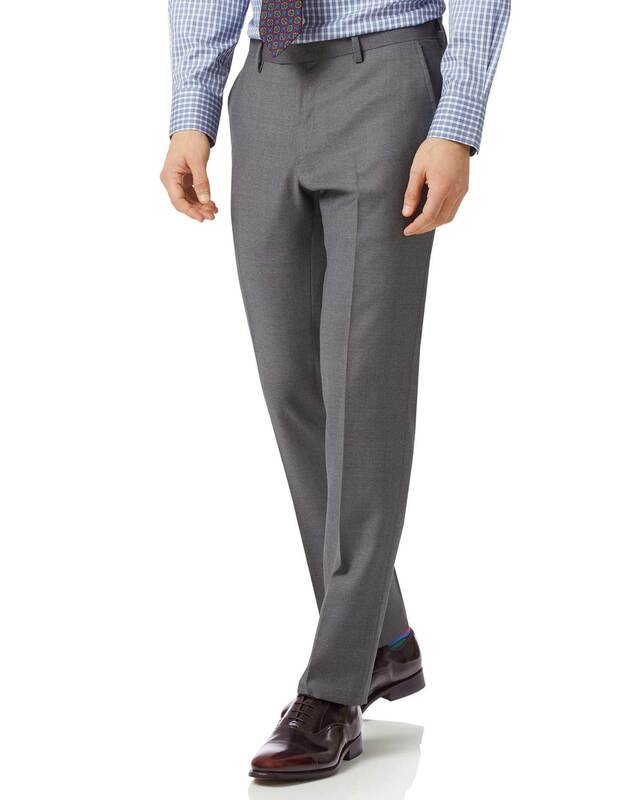 Your feedback on the number of pockets our suit trousers have is appreciated, and I will be sure to pass this through to the Products Team accordingly. We are always keen to refine or improve our products wherever possible, so will give this all due consideration.